Mavic has brought great drones to the market. Increasingly compact, lightweight and with better quality. It’s time to introduce Mavic Air. 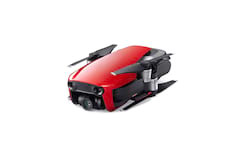 In three colors, Flame Red, Arctic White and Onyx Black (red, white and black), the Mavic Air is a portable and foldable drone. It is focused for people who like to produce digital content on travel and outdoor life enthusiasts. The camera inherited from the Mavic line, 4K with new QuickShot and SmartCapture modes for photos and a new video mode called FlightAutonomy 2.0. This enables a smarter and safer flight for beginners. The camera is attached to a three-axis arm, suspended by shock absorbers that stabilize the image. The 12MP camera features a 1 / 2.3-inch CMOS sensor and lens aperture is f / 2.8. The focal length is 24mm. It makes videos stabilized at 4K at 30 fps. The best camera used in a DJI drone, the company says. It also makes slow-motion videos at 120fps at full HD resolution. In addition, Mavic Air is DJI’s first drone with an additional micro SD card slot with 8 GB of built-in storage, allowing users to save photos and videos directly to the drone on the go. The newly added USB-C port also makes it easy and quick to export captured images. QuickShot’s intelligent video modes make video creation easier, with predefined flight paths that automatically keep the subject framed. Rocket, Dronie, Circle or Helix plus two new modes, Asteroid and Boomerang, to create videos that previously required driving skills. Asteroid mode starts with a spherical image that approaches when approaching the object on the ground. As the Boomerang flies around the subject in an oval motion tilted up, with the video ending at the starting point. 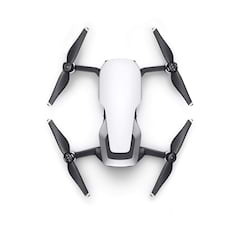 Weighing only 430 grams, it is the most portable drone ever created by DJI. The arms and propellers can be folded and stored next to the body, modeled aerodynamically. The DJI jokes that the drone when folded completely, comes to have approximate dimensions of a smartphone. It counts on battery that of the automonomy of 21 minutes of flight. 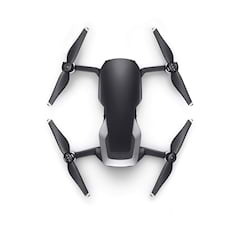 It can reach up to 4 km from the base and travel at a speed of 68 km / h.
The US retail price, including the drone, battery, remote control, carrying case, two pairs of propellers and four pairs of propellers, is $ 799. 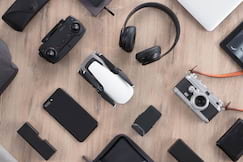 The Mavic Fly More Combo includes the drone, three batteries, a remote control, a travel pouch, two pairs of propellers, six pairs of propellers, a battery for the PowerBank adapter and the battery charging hub for $ 999. $ 999. As of today, Mavic Air will be available for pre-order through store.dji.com , four DJI stores and authorized resellers. Pre-sales will begin shipping on January 28th for available countries. The products will be available in Brazil in March. Previous Post: Review Snap Moto Gamepad, is it worth buying instead of a normal joystick?